Kohn Gallery is pleased to present Wallace Berman—American Aleph, the artist’s first comprehensive Los Angeles retrospective in almost four decades. 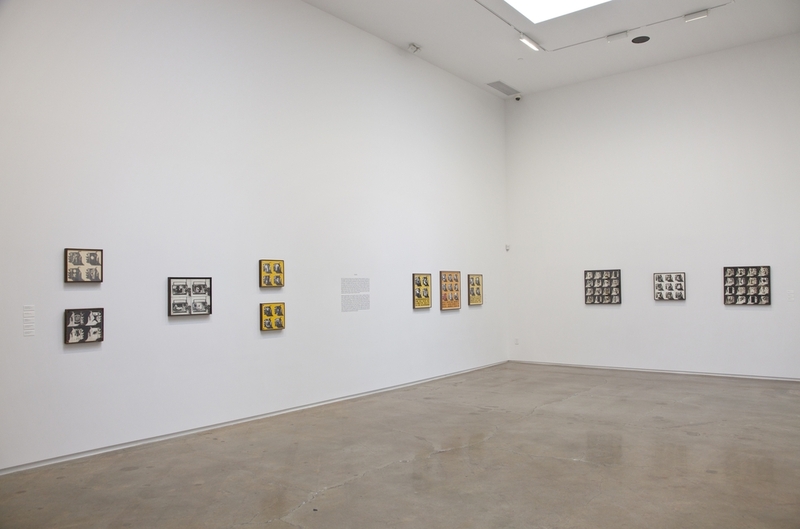 Commemorating the 40th anniversary of Berman’s accidental death at age 50, the exhibition surveys the entire oeuvre of this seminal American artist from the late 1940s until 1976. Berman has been long heralded as one of the most significant and influential artists to emerge in Southern California. Spiritually inclined, yet steeped in popular culture and the political events of the day, he conducted reconnaissance far beyond the borders of Southern California, mining the American psyche and broadcasting his ideas through mysterious letters, publications, and multi-layered art works. Curated by Claudia Bohn-Spector and Sam Mellon, the exhibition seeks to recast Berman as an American rather than a strictly Californian artist, whose importance far transcends the regional context in which he is traditionally seen. Wallace Berman is part of an intriguing and famous background starting with his first Los Angeles solo show in 1957 at the Ferus Gallery owned by Ed Kienholz and Walter Hopps. Many famous Pop artists made their West Coast debuts there as well, such as Andy Warhol and Roy Lichtenstein. Expanding his appeal abroad, he was part of a group exhibition in London at the Robert Fraser Gallery in 1966, where other artists in the gallery’s roster included Richard Hamilton, Bruce Conner and Peter Blake. Famously, Blake put Berman’s face among the notable crowd in his Beatles’ Sgt. Pepper’s Lonely Hearts Club Band album cover, attesting to his creative influence far beyond the borders of the United States. Berman’s works are included in the most prestigious art museums world wide including, Centre Pompidou, Paris; The Metropolitan Museum of Art, New York; Tate Gallery, London; Whitney Museum of American Art; MOCA, Los Angeles; LACMA, SFMOMA, and the Corcoran Gallery of Art, Washington DC to name a few. “We are very excited by the rare opportunity to show Berman’s work, and to reevaluate it in the context of American art and culture during the 1950s, 60s and early 70s,” says curator Sam Mellon. Through an interdisciplinary display of original art works, ephemera and videos the exhibition captures the spirit of irreverence and innovation that permeated this important era in modern art. Notes curator Claudia Bohn-Spector: “Our exhibition hopes to show that Berman was a transitional figure, who deftly blended the art of the European avant-garde with native vernacular traditions, like jazz and folklore, and his own hybrid version of American and Jewish mysticism.” As interest in West Coast art has increased over the past 40 years, scholars have consistently viewed Berman as a quintessentially Californian artist, whose entourage of likeminded friends was essential to the formation of his creative vision. At once the prophetic and charismatic progenitor of “Semina Culture” and “one of the best-kept secrets of the postwar era,” Berman has long been considered a mostly regional player, due in part to his own disinterest in critical fortunes and his secluded, decidedly underground position in Los Angeles. 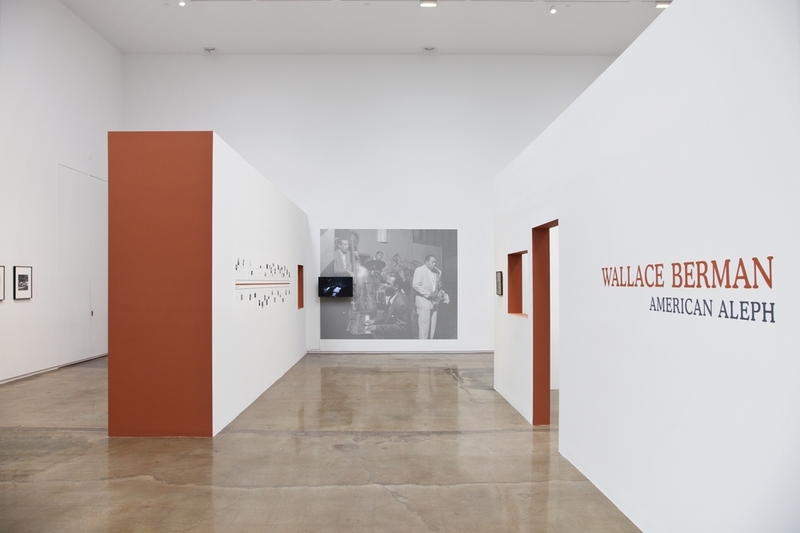 “Wallace never physically traveled the world,” says the artist’s son, Tosh Berman. “Yet his ears and eyes always looked outside his workspace and he appeared to pick up vibrations from the other corners of the world.” More recently in 2009 Richard Prince, who is a collector of Berman’s work, helped organize an exhibition entitled She. 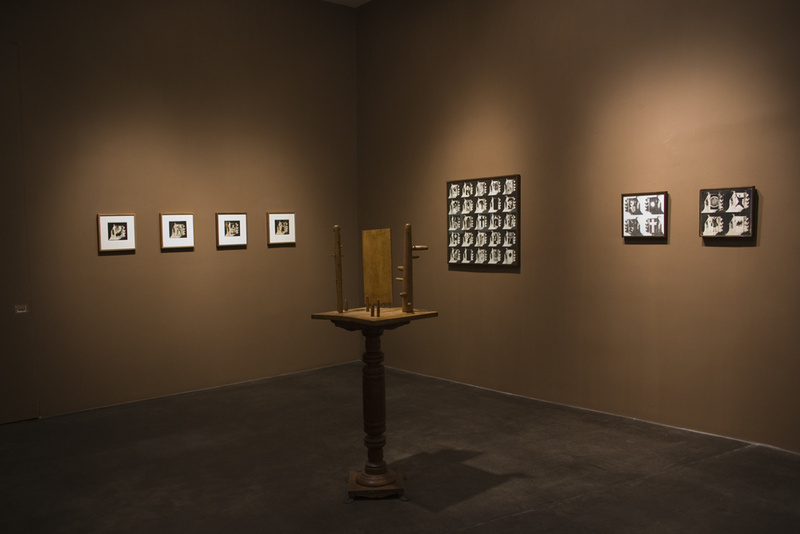 This exhibition included works by both Prince and Berman, showing that today Berman’s art deserves a bigger stage, further proposing that his oeuvre is best appreciated not only in the context of his immediate circle, but in direct comparison to some of the leading American and European artists of his day. Accompanying the exhibition will be an illustrated catalogue, designed by Lorraine Wild of Green Dragon Studio and featuring essays by Bohn-Spector, Mellon, Kenneth Allan (Seattle University, WA), and an introduction by Tosh Berman, reassessing Berman’s significant contributions to the history of 20th century American art. Michael Kohn Gallery is pleased to present an exhibition of photographs, sculptures, drawings, and collages by quintessential American artist, Wallace Berman. A crucial figure in post-war California art, Berman is known for his series of poetic and sepia-toned Verifax collages that articulated the voices of poets, musicians, and visual artists from America’s underground Beat generation. On view is a series of personal photographs that Berman took between 1950 and 1976.
counterparts and the social revolutionaries who pioneered the American counter-culture known as the “Beat generation.” Artists and visionaries such as Jay DeFeo, Jack Smith, George Herms, Cameron, and Walter Hopps, among many others, inhabit beautiful and sparsely populated landscapes in Big Sur, Corte Madera Marsh, and the quaint town of Healdsburg, located in the Sonoma Valley. Also on view are various sculptures, drawings, and collages. In 1964, Berman began working on his best-known body of work, a series of collages made with the Verifax press machine (an early photocopy machine prototype). These collages, culled from newspaper and magazine articles, combines hand-drawn Hebrew characters and Kabbalah references with identifiable pop culture images. Also included in the exhibition is one of Berman’s signature sculptures, Homage to Herman Hesse (1949, 1954), which was included in Berman’s legendary solo exhibition at Feras Gallery in 1957. Homage to Herman Hesse is an abstract, geometric sculpture resemling a gameboard—a reference to Hesse’s idea that all knowledge can be reduced to a single scientific principle from his book, Magister Ludi (The Glass Bead Game). accident in Topanga Canyon in 1976 at the age of 50. He has been the subject of solo exhibitions at the Whitney Museum of American Art in New York, and at the Santa Monica Museum of Art in California. Berman is also known for establishing a collaborative, hand-made, limited edition magazine called Semina. It has since become an iconic document chronicling cultural movements of the 1950’s and 1960’s, and the voices of the Beat generation’s most innovative and influential thinkers such as Antonin Artaud, Charles Brittin, Charles Bukowski, William S. Burroughs, Jean Cocteau, Allen Ginsberg, Walter Hopps, Larry Jordan, Michael McClure, and John Wieners.